A self-paced, hands-on workbook that teaches the core TechSmith Camtasia 2018 skills! Using TechSmith Camtasia, you can quickly create software demonstrations, software simulations, and soft skills eLearning. You can Share your finished project so it can be accessed by learners using desktop computers, laptops, tablets, and other mobile devices. Your content can be hosted on a web server, Learning Management System, YouTube, Vimeo, TechSmith’s Screencast.com, and more. During the step-by-step lessons presented in this book, you will learn how you can include recordings of existing PowerPoint presentations or software demonstrations created directly on your computer using the Camtasia Recorder. 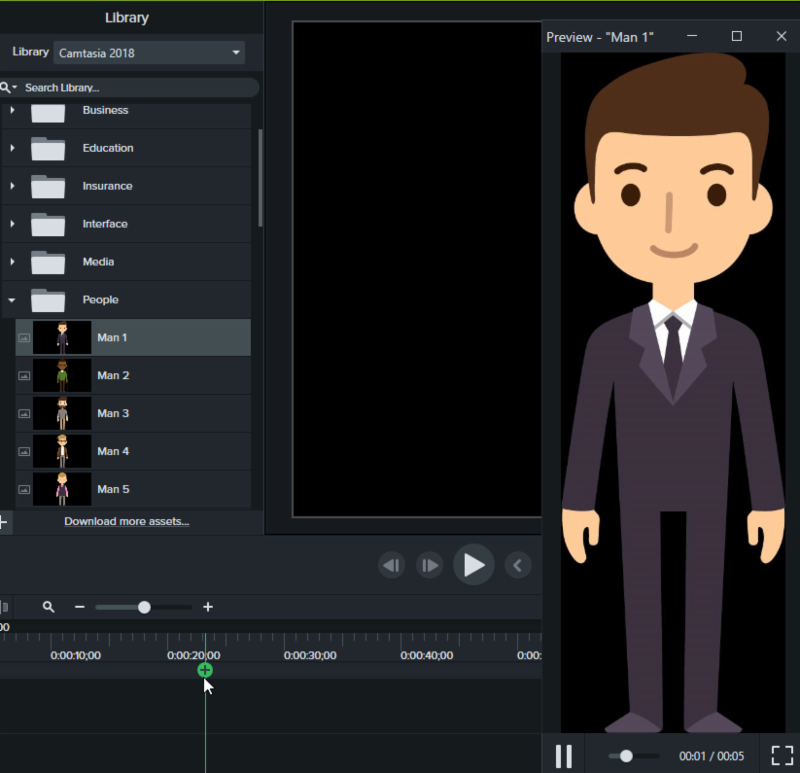 You will use the powerful Camtasia Editor to add animations, voiceover audio, graphics, music, annotations, closed captions, and quizzes to a project. This book will introduce you to the essential Camtasia 2018 skills you need to get up and running with this awesome eLearning development tool as quickly as possible. You can buy this book from amazon.com. You’ve likely heard about xAPI (the Experience API or the Tin Can Project), but maybe you’re not quite sure what all the buzz is about. We've got just the live, online class for you: xAPI: What It Is, Why You need It, And How to Get Started. As adoption of xAPI begins to take hold, it allows for more robust and interesting tracking of the learning process. As actual performance and results data are integrated with learning metrics, we will have the data we need to tailor the learning process to individual needs at the same time that we can draw more useful conclusions about the learning as a whole across a wider population. In this session we’ll take a look at what xAPI can do for you, what tools and platforms you’ll need, and how to get started. The Instructor. Megan Torrance is CEO and founder of TorranceLearning, which helps organizations connect learning strategy to design, development, data, and ultimately performance. Megan, a Certified Online Training Professional (COTP), has more than 25 years of experience in learning design, deployment, and consulting. Megan and the TorranceLearning team are passionate about sharing what works in learning so they devote considerable time to teaching and sharing about Agile project management for learning experience design and, of course, the xAPI. TorranceLearning hosts the xAPI Learning Cohort, a free, virtual 12-week learning-by-doing opportunity where teams form on the fly and create proof-of-concept xAPI projects. Learn more or sign up for "xAPI: What It Is, Why You need It, And How to Get Started" here. From Kevin: I've been teaching live online classes for years. And while I’ve had all sorts of technology challenges during that time, I’ve never had my main machine go down along with my backup--until yesterday! Even though I rebooted my machine in time for class, it froze again, and I couldn’t click anything. Panic? Not me. As a certified online training professional, you’re taught to handle these kinds of bumps in the training road. In this instance, other students in the class were using Captivate (it was a hands-on session) and I simply made a participant the presenter (or leader). Class went off without a hitch after that. Check out my smooth maneuvers in the video below. What are you most embarrassing online (or in-person) training debacles? Share them here! Did you recover? Tell us how! Learn to teach online at www.iccotp.com. TECHSMITH CAMTASIA 2018: Assets Galore! 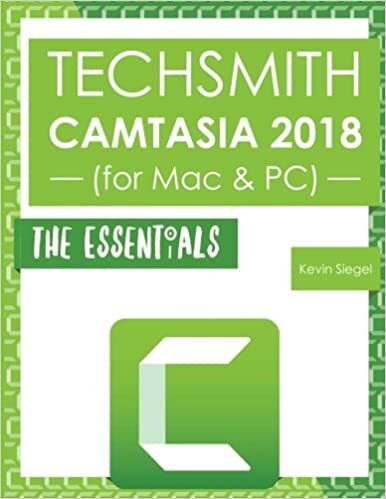 TechSmith recently released Camtasia 2018. (You can purchase the software directly from TechSmith or try the software free for 30 days via the trial download). At first glance, there’s little difference between Camtasia 9 for the PC and version 2018. 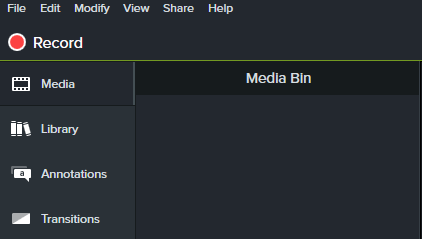 However, if you check out the tools at the left, you’ll see the Media Bin and the Library have been separated (they used to be grouped together as Media tools). While I do like the tools separated (this is how they were listed in older versions of Camtasia), this minor change isn't anything to get overly excited about. Things get a bit more exciting if you visit the Library. 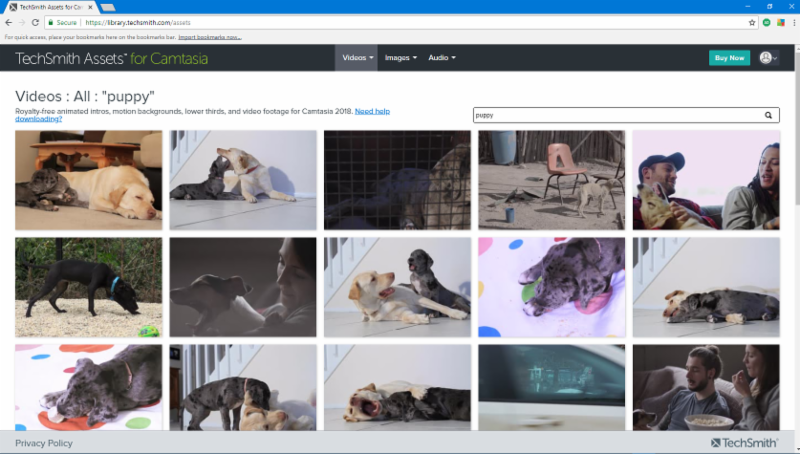 TechSmith has enhanced the free assets in Camtasia 2018, and they're pretty nice. 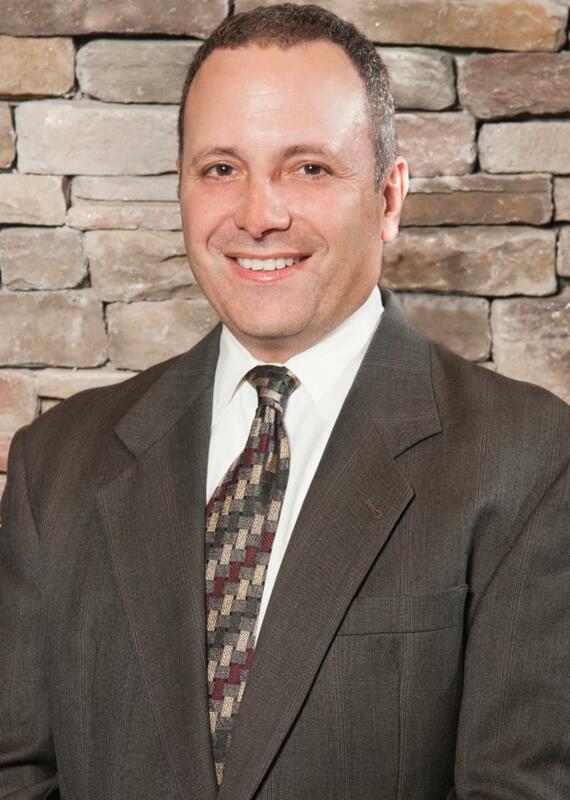 For instance, check out the dude in the image below. You'll find him and many more like him in the People folder. To preview an asset, double-click it. To use any Library asset in your project, simply drag it onto the Timeline. What's better than the enhanced free assets that now come standard in the Camtasia Library? Check out the Download more assets link at the bottom of the Library. For $199 a year TechSmith offers a new subscription service providing access to more than 500,000 assets such as videos, images, and photographs. You can download and use the assets in any Camtasia project. 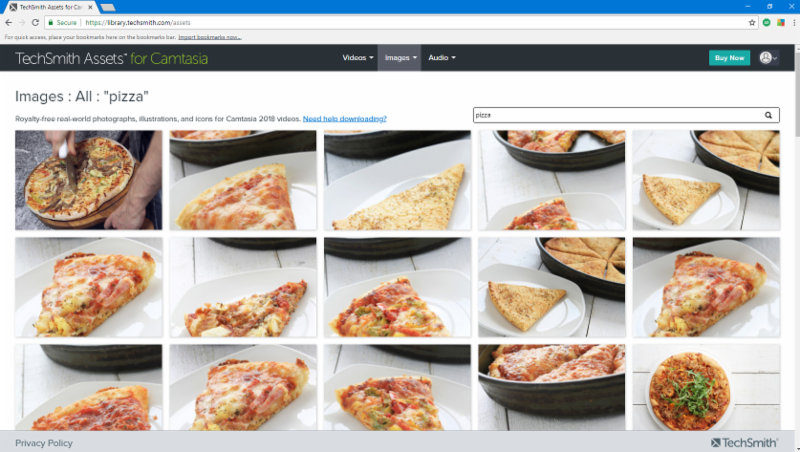 I wanted to see what kind of assets were available from TechSmith so I searched the Image library for Pizza. I wasn't disappointed with the resulting selection (although I was hungry by this point). I then went for "cute" and searched the video library for puppy. Once again, I was not disappointed. Can't afford the $199 fee? Many of the assets you’ll find on the site after clicking the link are free. All that you need to do is download the assets, double-click the libzip file, and the icons are imported into your Camtasia Library. 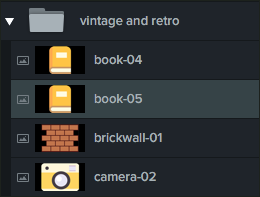 As with all Library assets already installed, using the newly downloaded assets is as easy as dragging and dropping from the Library to the Timeline. Looking for Camtasia training? Check out these live, online classes. Online training can be great training, but it all starts with an awesome trainer! More and more companies are embracing live, online classes. If your company wants you to teach online, great. But teaching online isn't as easy as it sounds. For instance, how can you be sure that your class isn't boring? How can you keep your audience engaged, even when your content isn't very exciting? The International Council for Certified Online Training Professionals (ICCOTP) promotes standards of excellence in delivering online training in a wide variety of formats by instituting a certification process for online trainers. The Online Training Professional certification process (COTP) aims to ensure that online training events and classes provide high-quality, memorable, enjoyable, and, most of all, effective learning experiences to participants. Learn some best practices for engaging an online audience. Learn the hardware and software you'll need to host online training. Are your materials ready for an online world? We'll teach you how to prepare your existing materials for online access and even how to create awesome, visually-appealing presentations. If you need to include quizzes in your online course, do you know how to create effective questions (and surveys)? We'll show you how. And you'll get a chance to take the controls of an online training room and teach for a few minutes to your fellow COTP candidates. There are seats available in the fast-approaching July COTP class. Learn more (and sign up) here.